Payday loans have earned a bad reputation as money-draining traps that leave low-income borrowers stuck in a cycle of debt that they’re unlikely to ever escape. With their high interest rates, critics say companies that issue this type of loan prey upon the most financially insecure people. But despite all of the criticism and bad press they receive, payday loans remain a very popular financial product among low-income borrowers. The Consumer Financial Protection Bureau (CFPB) estimates that there are 15,766 payday loan stores throughout the U.S., slightly more than the country’s 14,350 McDonalds. So are payday loans really that bad – and are customers actually being victimized? 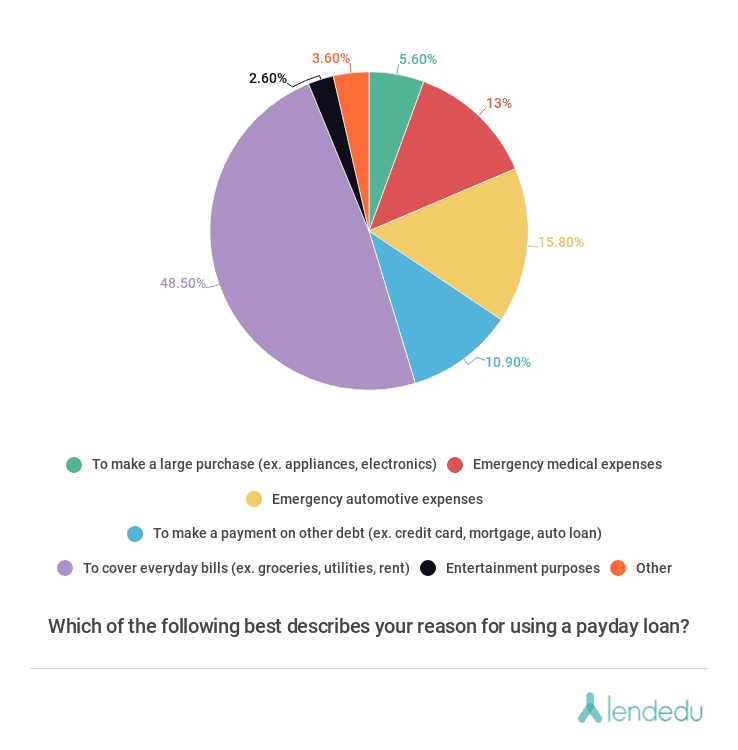 LendEDU, a U.S.-based website that helps consumers learn about and compare financial products by bringing transparency to the personal finance marketplace, conducted a survey in October of 2017 of 1,000 people who had used a payday loan in the previous 12 months. 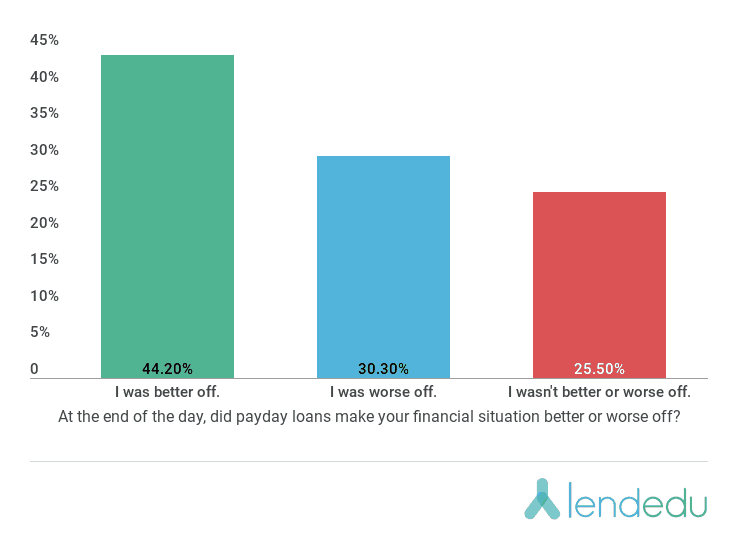 The results likely came as a surprise to critics of the payday lending industry – some of the findings even surprised us. Here are three key takeaways. With annual interest rates that can reach around 400 percent, you wouldn’t blame a payday loan consumer for feeling like they’ve been ripped off. 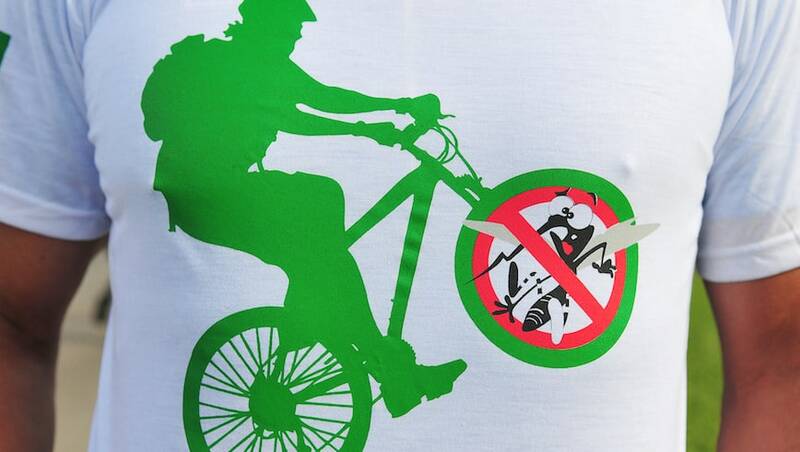 But our survey revealed that’s not always the case. Despite their well-known pitfalls, a narrow majority people are satisfied with their experience using payday loans. In the survey, 51 percent of people said they didn’t regret using a payday loan, while a smaller (but still significant) percentage, 36.7, said they did regret it. Another 12.3 percent said they were undecided as to whether they regretted taking out a payday loan. When asked if their payday loan helped their financial situation or made it worse, a plurality, 44.2 percent, said they were better off because they used the loan. In contrast, 30.3 percent said they were worse off, and another 25.5 percent said they didn’t consider themselves better or worse off for having used the loan. Payday loans are generally accessed by those who have no emergency savings, and those who can’t get (or are intimidated by) traditional bank loans. In some cases, people could qualify for bank loans but they prefer the quick application process of payday loans – even though they charge much higher interest rates. Their convenience can be a selling point for people, even when they understand the higher cost. In spite of these loans’ high-interest rate, 62.4 percent of those surveyed said they saved money from not having to pay bank fees by getting a payday loan instead. A smaller percentage, 37.6 percent, said they didn’t save money from using them. Those who criticize payday lenders often portray the borrowers as hapless victims who don’t understand they are paying higher interest rates than they should be. But is that always the case? 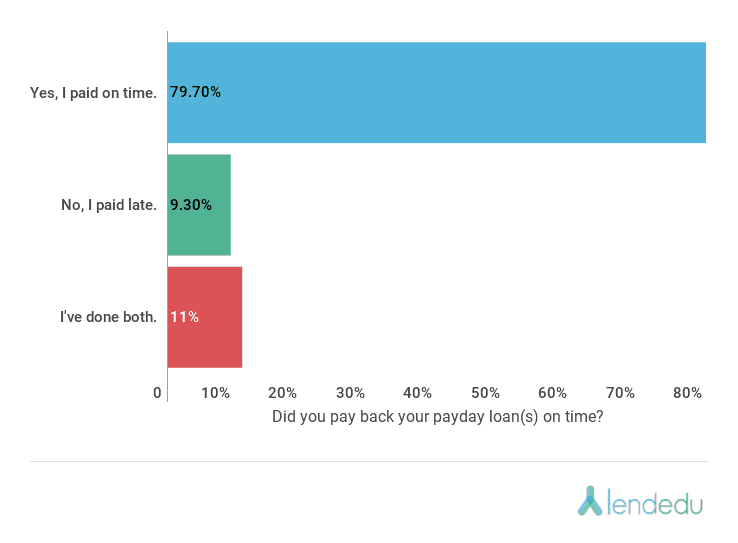 The LendEDU survey showed that 82 percent of the people who took out payday loans looked at the interest rate and fees on their loan before they agreed to it. Only 18 percent didn’t. 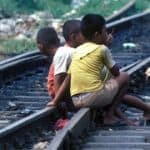 Three-quarters, or 75.5 percent, considered themselves well-informed at every stage of the application process, while 24.5 percent said they were misinformed or confused. Feeling well-informed can prevent a borrower from feeling regret over their loan decision, so it’s important that they fully understand the terms of a loan before borrowing – and that lenders make these terms clear up-front. Another frequent criticism of payday loans is that borrowers are unable to pay them on time, and end up racking up other fees as well. 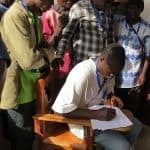 But the majority of those surveyed, 79.7 percent, said they paid their loan on time, while only 9.3 said they paid late. Another segment, 11 percent, who had taken out more than one loan, said they had done both – paid on time and late. In light of customers’ apparent overall satisfaction with the payday lending industry’s products, it seems likely that these loans will remain popular in low-income communities. With that being said, consumers should educate themselves about payday loans, their pitfalls, and especially their high interest rates. This is especially advisable in light of the uncertain regulatory oversight of payday lenders, as the CFPB has held a shifting position when it comes to payday loans. For many years, the watchdog organization had worked to implement tighter regulations on the payday lending industry, but that has changed under the Trump Administration. For instance, earlier this year, acting CFPB Director Mick Mulvaney put a hold on a rule that would restrict payday lenders and their high-interest loans. Additionally, the CFPB has dropped a lawsuit against online payday lenders that were charging 900 percent interest rates. Nevertheless, for customers who can’t get a traditional bank loan and don’t have any other borrowing options, payday loans may still make sense – especially if they help avoid costly late fees on other bills. But borrowers should be careful about using them for less essential purchases like entertainment or vacations – it’s always best to save up front for that kind of expense. Based on this survey, the final verdict on payday loans is far less damning than their press coverage would suggest. Although customers should still think twice before taking out these loans, they may be their best financial option in some cases. And if a borrower is well-informed and makes responsible decisions on how to spend their loans, they’re likely be one of the many people who don’t regret their decision. Mike Brown is a Research Analyst at LendEDU.